Is your fashion boutique logo in need of a makeover? Look no further! My large selection of stunning graphic designs is exactly the new look you’ve been searching for. An elegant logo can leave a lasting impression on your clients, friends and guests. Show off your professionalism with my unique logos. black colors with a clipart/image make it perfect for a fashion boutique. I’m a Graphic Designer with 20 years of experience and I’m excited to give your business the boost it needs! Need something similar? Please message me if you have any questions or custom requests! 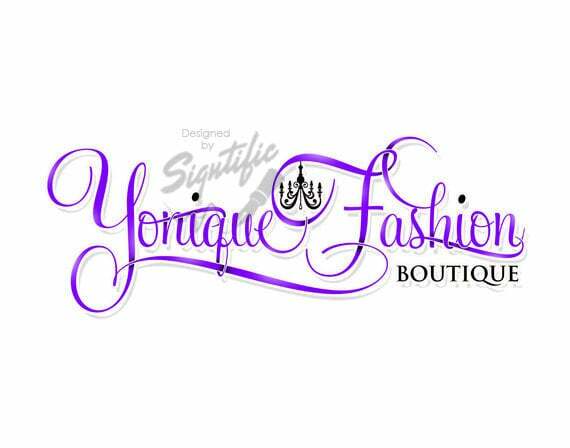 Thank you so much for looking at this fashion boutique logo. ►Treat your business with class and order yours today!